How do I load videos onto my KidiBuzz? 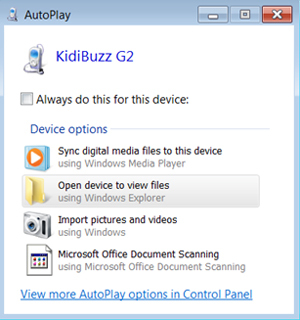 KidiBuzz supports MP4 files formatted with the H.264 video codec. Other video formats can be converted to this supported format using third party software (not included). There may be legal restrictions associated with the use of commercial video files, movies, programs and other content for which VTech® accepts no responsibility or liability. Users should take responsibility for observing relevant copyright law in their country for this type of media. Format: H.264 main profile video and AAC audio in an MP4 file. Resolution: 800x452 if source is 16:9. Other resolutions are supported but are not optimal for the device. Video bitrate: 2000 kbps. Other bitrates are supported but are not optimal for the device. Audio bitrate: 128 kbps constant bitrate. Other bitrates are supported but are not optimal for the device. Maximum file size: 4 GB (over 4 hours of play time using the recommended settings). 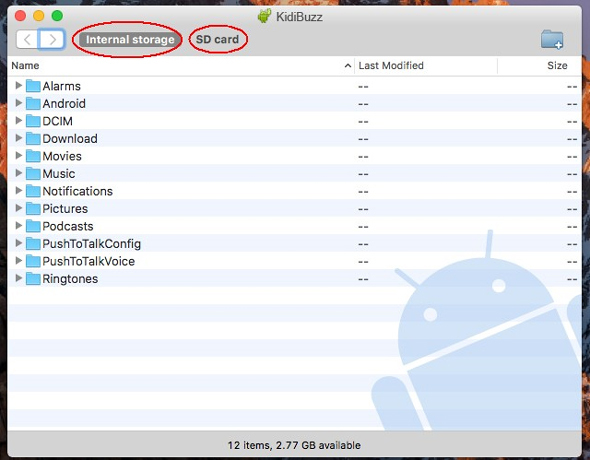 Select "Internal storage" or "SD card" depending on where you want to save your videos. 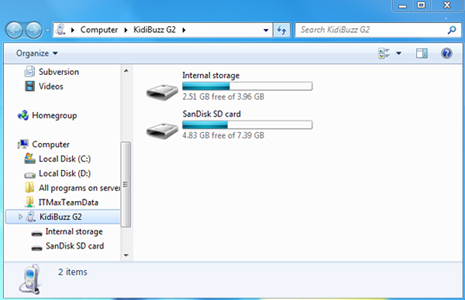 Because video files can take up so much space, we recommend you store them on a microSD card. 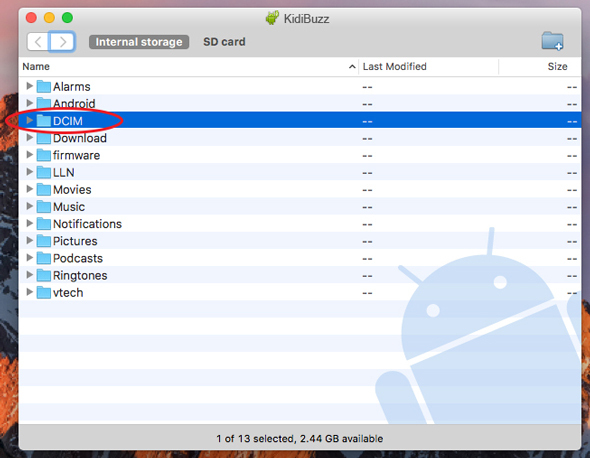 Your KidiBuzz™ may not have enough memory to support very large video files. 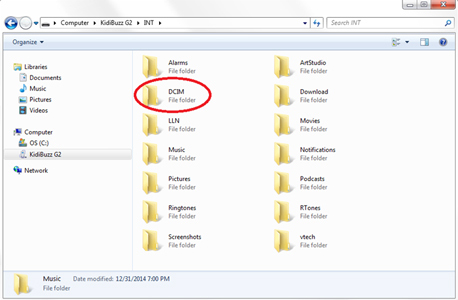 Open the folder labelled "DCIM", then open the folder called "Camera" inside that. 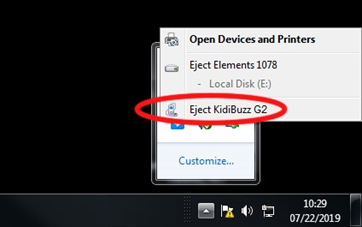 Copy the movie file onto your KidiBuzz™ by dragging it from your computer into the folder. 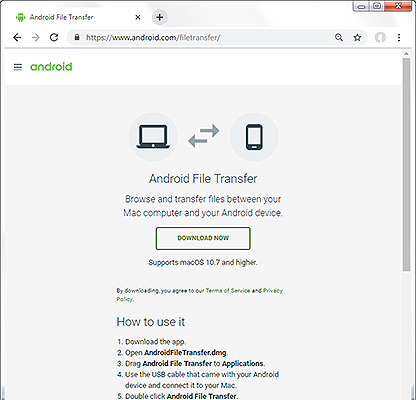 If you want to save the files onto a microSD card, create a new folder called "Videos" in the root of the microSD card and drag your movie files into this new folder. 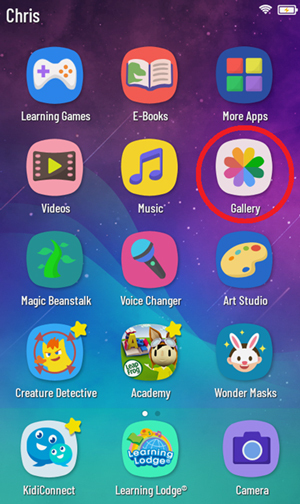 You can find the files you just copied within the Gallery folder on your child's Home screen. Select "Gallery" first, then select "Videos" on the next screen.